Last week, we published a story reporting the 25 percent tariff on auto imports by the Trump administration would increase the cost of every vehicle sold in the U.S. That means a Subaru Forester, Crosstrek and WRX/STI could cost $5,800 more than it costs now. But a recent report by Automotive News says it's important to know where the car is manufactured. Just because a car is built in the U.S., doesn't make it safe from tariffs. Automotive News reports, automakers like Subaru Corporation may be forced to spread price increases from tariffs across their entire model lineup. In Subaru’s case, the Japan-built Forester’s price increase will likely be broken up and added to other models. Although the new 2019 Ascent 3-Row family hauler is built in the U.S., it may suffer from a price increase to make up for foreign-built models, Forester, Crosstrek, WRX, WRX STI and BRZ made in Japan. The Outback Impreza and Legacy are also built at the plant in Lafayette, Indiana and will also likely get a price increase. The Alliance of Automobile Manufacturers says a 25 percent U.S. tariff on imported passenger vehicles if imposed on national security grounds, would cost American consumers $45 Billion annually (based on 2017 auto sales), or $5,800 per vehicle. According to analysts at Baird Equity Research, the average price increase for automakers with all foreign-built lineups will be around $6,000, which is a significant amount to spread out. They say even US-built cars will have some added cost, because of their foreign parts content. 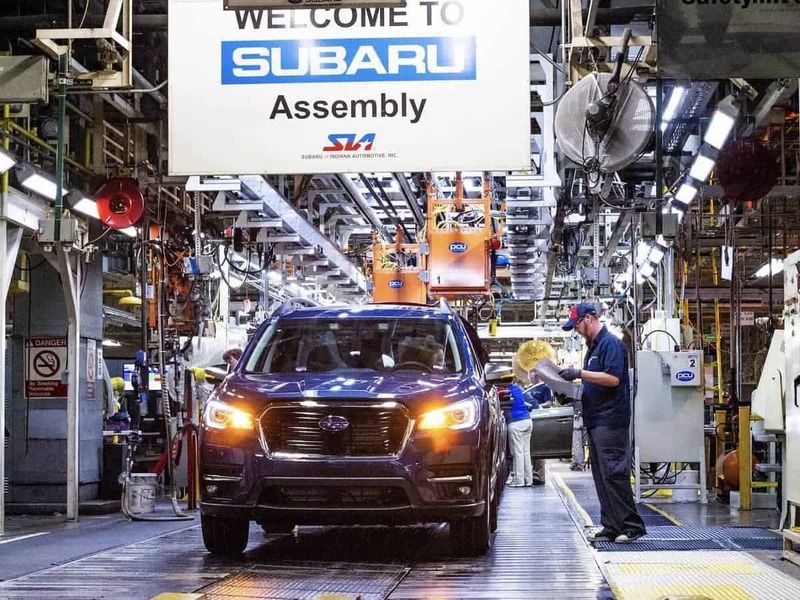 Baird analysts predict that the average cost increase will be around $1000-$4000 $4,000 per vehicle sold by automakers like Subaru with a mix of locally produced vehicles and imports. If you plan on buying a new US-built 2019 Subaru Outback, Ascent, Impreza, or Legacy, the cost will likely go up as Subaru Corp will be forced to spread the added tariff cost across their US-built lineup. The new Forester, Crosstrek, WRX, WRX STI and BRZ made in Japan, will also go up, but just not as much as Subaru spreads the cost across their entire stable of vehicles. Leave it to $10 billionaire Trump to screw the American public because of his 'egotism'. This will hurt American workers. What an ill conceived tariff strategy.